Parliament rejected the inclusion of large pictorial health warnings on tobacco products covering 75% of the front and back of packs, opting instead for 65% coverage and a health warning. Slim cigarettes, which health experts say are particularly attractive to younger smokers and women, will not be banned, and e-cigarettes will be regulated, but not stubbed out in the EU's new tobacco directive. However, all flavoured tobacco products, such as menthol, vanilla and strawberry, will be banned along with with packages containing fewer than 20 cigarettes. "We know that it is children, not adults, who start smoking. And despite the downward trend in most member states of adult smokers, the World Health Organization figures show worrying upward trends in a number of our member states of young smokers," said British MEP and rapporteur for the tobacco directive Linda McAvan, of the Parliament's Socialists and Democrats (S&D) group. "We need to stop tobacco companies targeting young people with an array of gimmicky products and we need to make sure that cigarette packs carry effective warnings. In Canada, large pictorial warnings were introduced in 2001 and youth smoking halved," McAvan added. Martin Callanan, a British MEP from the European Conservative and Reformist (ECR) group, said the idea of restricting e-cigarettes would have been "totally crazy". Callanan said that these products had helped countless people stop smoking more harmful cigarettes and yet some MEPs wanted to make them harder to manufacture than ordinary tobacco. "Many electronic cigarettes are produced by small businesses who would simply not have been able to afford the strict authorisation demands the EU would place on them. We could not stand by and allow MEPs to put companies out of business and people out of work," the conservative MEP said. Callanan added that while it made sense to find ways of making tobacco less attractive to younger people, conservatives could not have supported a measure that would cost jobs and push people away from electronic cigarettes and back towards the real thing. "This is a victory for common sense," Callanan stated. Commenting after the vote, the greens accused the centre-right parties of doing the work of the tobacco lobby. "This is a shameful day for the European Parliament, as a centre-right majority, led by the European People's Party (EPP) group, has done the bidding of the tobacco industry and voted for weaker rules, which are totally at odds with citizens' interests and public health," green public health spokesperson Carl Schlyter said. "It is scandalous that the centre-right in this house seems to be more concerned about the profits of the tobacco industry than the health of EU citizens." Schlyter, a Swedish MEP, added that the committee for the Environment, Public Health and Food Safety (ENVI) voted for robust legislation, but that the core proposals had been scaled back in the plenary vote. The only real victors from the vote were big tobacco firms, he said, adding that their "aggressive and expensive lobbying campaigns have paid off". "It remains the case that members of the European Parliament have voted to ban an entire segment of the legal market despite the inevitable increase in illegal trade that this will fuel. They have failed to provide a workable framework for reduced harm products and have also continued to include oversized graphic health warnings and pack standardisation - even though the risks of smoking are already well known - and without apparent concern for property rights that the EU Charter protects." "It is not clear exactly what arguments the tobacco industry have used this time to get the proposals watered-down. Their familiar warning that measures could threaten employment levels in the industry simply does not compare with the lives and costs of the 700,000 people in Europe who die of tobacco consumption every year. Most importantly, the cost of job loss is in no way comparable with the high cost for the whole of society including for mutuals and health insurances." "The strong mandate given to take the next step of negotiations forward is a good signal that despite the intense lobbying, the weakening of the provisions and the failure to ensure the highest level of health protection, the overall strategy of the tobacco industry to delay this Directive has so far failed," said Monika Kosi?ska, secretary general of the European Public Health Alliance (Epha). "This is a bittersweet moment. Today’s vote in the EP plenary was not ideal for public health, but it does advance tobacco regulations in many areas. The overwhelming majority to allow the rapporteur to start negotiating with the Council on a compromise is a crucial result as it makes it possible to adopt a final Directive before the end of the Parliamentary mandate. That in itself is a victory as it means there is no need for further delays," continued Florence Berteletti, director at the Smoke Free Partnership. “We very much regret that the European Parliament did not adopt 75% mandatory warnings. This was a significant element in the European Commission’s proposal. But we do welcome the strong mandate given to the rapporteurs to take the negotiations forward. 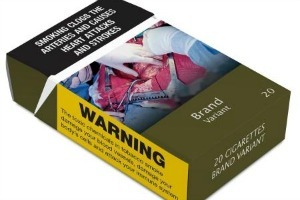 We recommend that all EU Member States follow in the footsteps of Ireland and adopt proposals for plain packaging,” said Susanne Løgstrup, director of the European Heart Network (EHN). European Commissioner for Health Tonio Borg said in a statement: "I welcome the positive vote in today's European Parliament plenary in favour of engaging in negotiations with the Council. We have witnessed a lively and thorough debate on the Commission's proposal for the revision of the Tobacco Products proposal, and I would like to thank the MEPs for their support and to pay a special tribute to the rapporteur – Linda McAvan – for her commitment, determination, and important contribution towards securing this favourable vote." Dr Katrín Fjeldsted, president of the Standing Committee of European Doctors (CPME) said: “CPME is encouraged that the European Parliament has mandated the Rapporteur to proceed with negotiations. However we are disappointed with the outcome of the vote on several key issues. If this result was the only achievable outcome, we sincerely hope it will not be weakened further in negotiations with the Council in order to make this Directive as effective as possible." She continued: "We very much regret the MEPs’ choice to reject the proposed ban of so-called ‘slim’ cigarettes. No-one who has seen these products and their marketing can deny that they are overwhelmingly targeted at young girls and intentionally associate aspirational lifestyle messages with their consumption. These products are harmful to health, this should be the main message they convey. Without a ban, we can expect to see further health damage among young female smokers." Health Commissioner Tonio Borg is set to widen the scope of cigarette-trading rules to cover potentially harmful electronic cigarettes, flavourings and marketing strategies potentially including plain packaging – as part of a revision of the 2001 Tobacco Products Directive. The plenary vote to reject medicalisation of e-cigarettes was the biggest single win for public health in the history of the EU. Unfortunately there is still much further to go before these products are safe from removal from the market, and we can expect further efforts to protect government tax revenues and pharmaceutical / cigarette industry income. Expect the Council of Ministers to vote the opposite way, to ban ecigs; and then a final all-out battle in the Parliamentary vote. Even if things go against the pro-public health MEPs, and e-cigarettes are medicalised (thus removing 100% of them from the market), we have some consolation in that the JURI Committee have already stated such a law would be illegal; and of course every court that has heard a challenge to medicalisation has overturned it: a perfect record.